Never heard of SheIn before? Well, I honestly hadn't either until several months ago when I started with RewardStyle, but I think it is worth a share! I know some of you have messaged me hesitant to order because ordering from a new company with such inexpensive clothing can be intimidating. But let me assure you that I would never tell you to order from a place that I didn't trust or already order from myself! I don't always love the pieces and the quality of some is not good but more times than not I keep everything I have ordered! Always wait for a coupon code as they run constantly across the website homepage. HERE is their site! So, step 1 is to create an account or sign in with Facebook. Then you fill your cart with items you love, add your coupon code, and checkout. It sometimes can take awhile to receive your shipment but by longer I mean 6-8 business days. Once you get your shipment and you don't love something, just use the bag or box it comes in, go to your account and select which pieces to return and print the label right there. Drop in mail. Super simple. 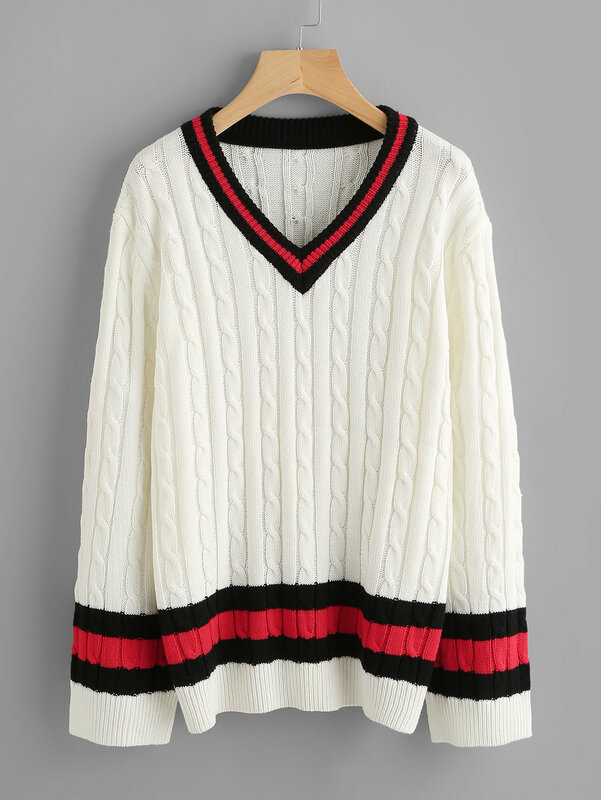 VARSITY SWEATER- First off this sweater is so good. I wear the size small and it is long enough for leggings but short enough to wear with jeans. It has a touch of a bell sleeve but not obnoxious and it is only $21. I mean seriously. HERMES DUPES- I own these in white and this tan color and I get stopped all of the time about them! They are super comfortable and I wear an 8.5 and I ordered a 39. I know Winter is approaching but buy them now and wear them later or on vacation! 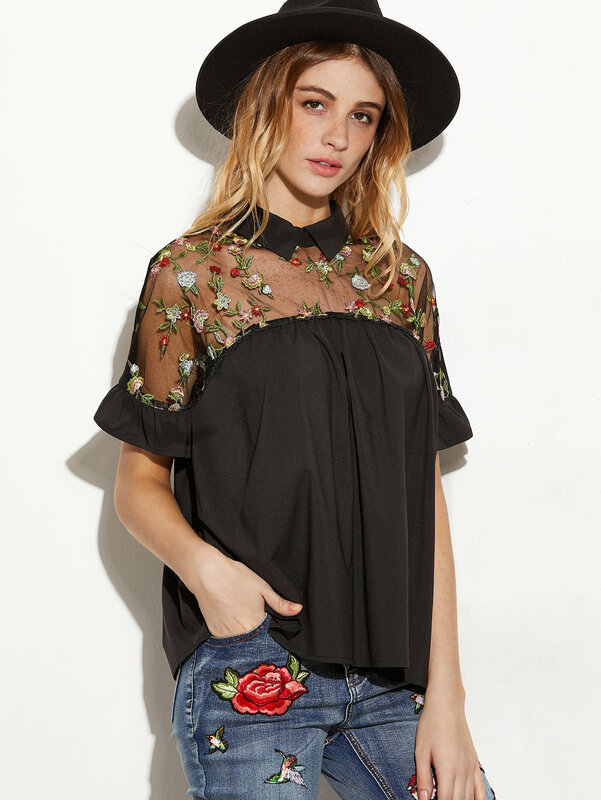 EMBROIDERED SHEER TOP- This top is the perfect way to try out the sheer trend without feeling naked! Haha. Runs true to size and comes in 3 different colors. I have the wine color. SHEER BLOUSE- And then there is this shirt for when you want to jump all over the sheer trend. I paired it with a black bralette and it was perfect! See how I styled it over on my Instagram at @ladyandredstyle and don't forget to follow for more outfit inspo! OPEN BACK SWEATER- The caption says it is camel colored and to me it is more mustard. I ordered the small and it is oversized so either size down or wear it a tad big. I am sticking with it and wore this on my recent trip to California! You can wear a bra, bralette, cami, or nothing at all under this sweater. FRINGE TOP- For only $13, this top looks cute with OTK boots or sandals for Summer! Don't forget to check out the CLEARANCE items here and add them to your cart! $4 T-shirts!